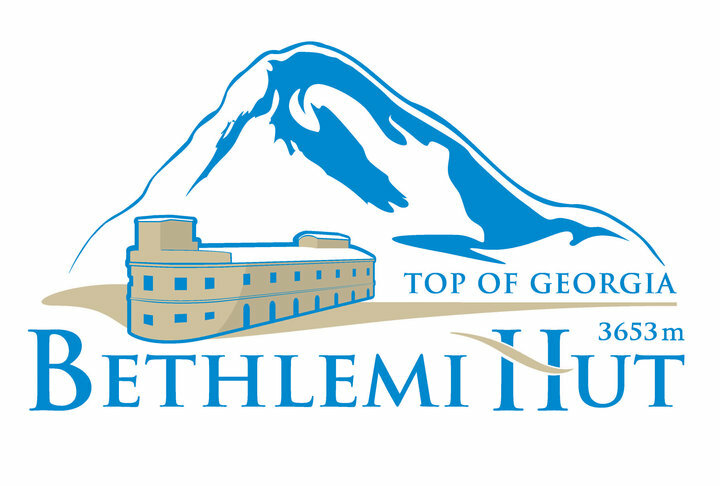 Located at a height of 3,653 m on Mount Kazbegi (Georgian: ყაზბეგის მყინვარწვერი), Bethlemi Hut is the highest located building in Georgia. 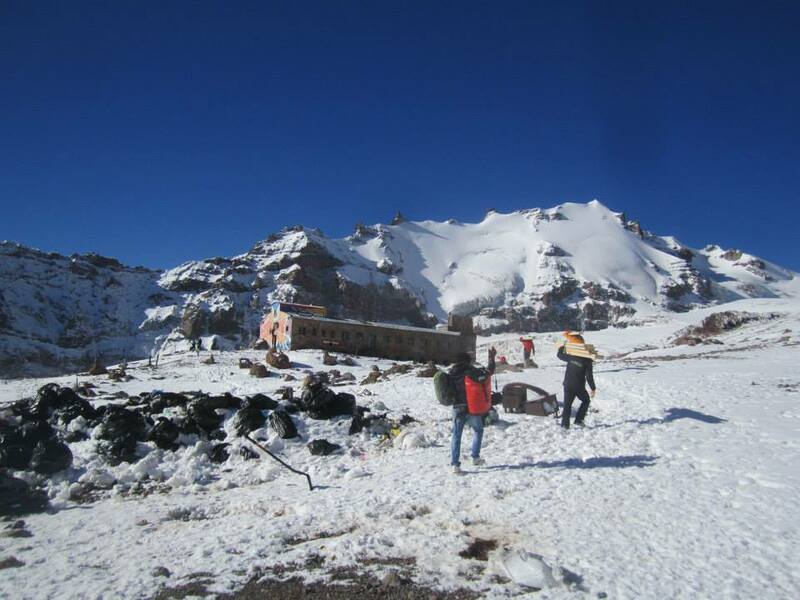 Originally constructed of wood in 1933, it was designed as a shelter for climbers. 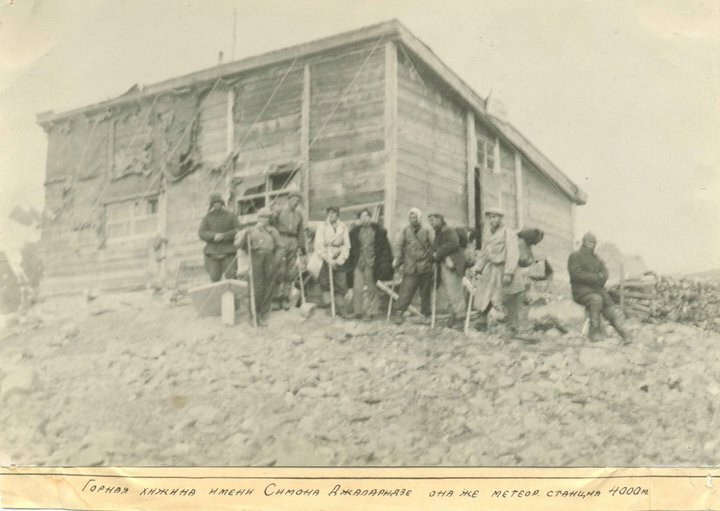 The original wooden hut was named after Simon Japaridze, lost at Tetnulda Summit in 1929. 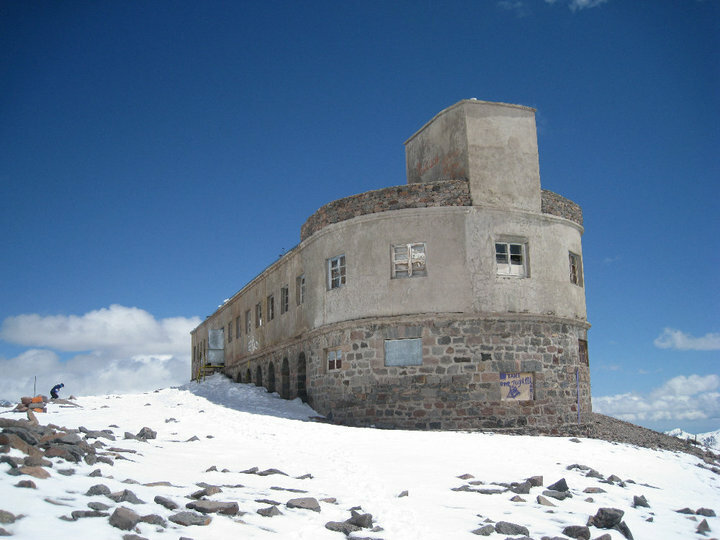 In 1941, a stone building replaced the wooden one and served as a climber’s shelter and meteorological station. 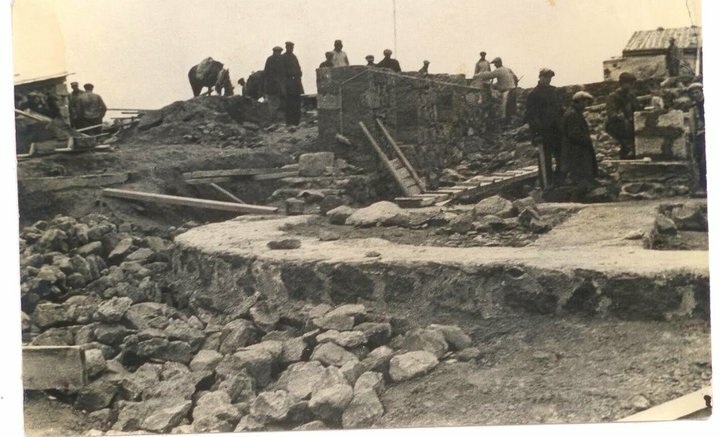 Workers constructing the stone building that would serve as a climber’s shelter and meteorological station. 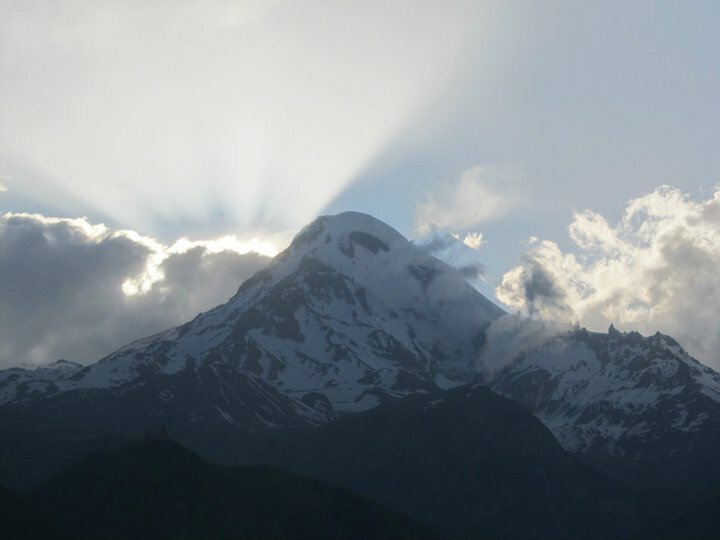 Annually, Bethlemi Hut hosts thousands of Georgian and foreign climbers on their way to the top of Mount Kazbegi. In 1998 the shelter was re-named Bethlemi Hut. 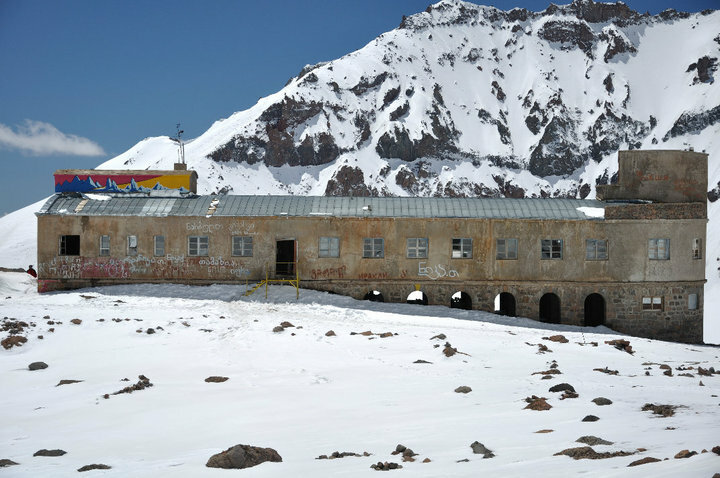 Photos and information source: Bethlemi Hut, Kazbegi.